The Union Minister for Youth Affairs & Sports ( I/C) , unveiled the revised draft National Sports Development Bill , 2011 here today. Giving the details of modifications made in the Bill at a press conference, the Minister said that efforts have been made to streamline the Bill, while retaining its basic principles of transparency, good governance and de-control from Government intervention. Serious consideration has been given to remove the perception that the Sports Ministry was seeking to directly interfere in sports. He further informed that the draft Bill has also been sent to Indian Olympic Association and all recognised National Sports Federations by post and e-mail seeking their comments/suggestions within two weeks. e. Queries pertaining to information which is confidential under the NADA code. Shri Maken further stated that it is the endeavor of the Government to make India a prominent player on the global sporting arena. This can only be done when transparency, unbiased decisions, democratic elections and joint development of sports is inculcated. The Bill seeks to align the sports movement in a structured way that the Central Government, Sports Authority of India, National Olympic Committee and the National Sports Federation can work together for the overall promotion and development of sports. The Bill recognizes that at the core of sports development are the athletes and effort is being made by the Bill to give them a say in running the sports as well as secure better welfare measures for them. The revised draft for National Sports Development Bill has been uploaded on the web site of this Ministry: http://www.yas.nic.in for comments/suggestions within 15 days of its publication, i.e. up to 29.10.2011. The comments/suggestions may be sent to Joint Secretary (Sports), Ministry of Youth Affairs and Sports, Room No.504 “B”, Shastri Bhavan, New Delhi or through Email at js-sports@nic.in. The Union Cabinet today approved the proposal for the enactment of a new legislation in the form of the Benami Transactions (Prohibition) Bill, 2011 to replace the existing Benami Transactions (Prohibition) Act, 1988 and for its introduction in Parliament. During the process of formulating the rules for implementing certain provisions of the present Act which was passed in 1988, it was found that owing to infirmities in the legislation, formulation of the rules would not be possible without a comprehensive legislation by repealing the Act. The Bill contains elaborate provisions dealing with the definition of benami transaction and benami property, prohibited benami transactions, consequences of entering into a prohibited benami transaction and the procedure for implementing the benami law. Properties held by a coparcener in a Hindu undivided family and property held by a person in fiduciary capacity are excluded from the definition of benami transaction. Further, properties acquired by an individual in the name of spouse, brother or sister or any lineal ascendant or descendant are benami transactions which are not prohibited. Consequently, they are not subject to penal provisions. Where any person enters into a benami transaction in order to defeat the provisions of any law or to avoid payment of statutory dues or to avoid payment to creditors, the beneficial owner, benamidar and any other person who abets or induces any person to enter into such benami transaction, shall be punishable with imprisonment for a term which shall not be less than six months but which may extend to two years and shall also be liable to a fine. A benami property shall also be liable for confiscation by the Adjudicating Authority after the person concerned has been given due opportunity of being heard. 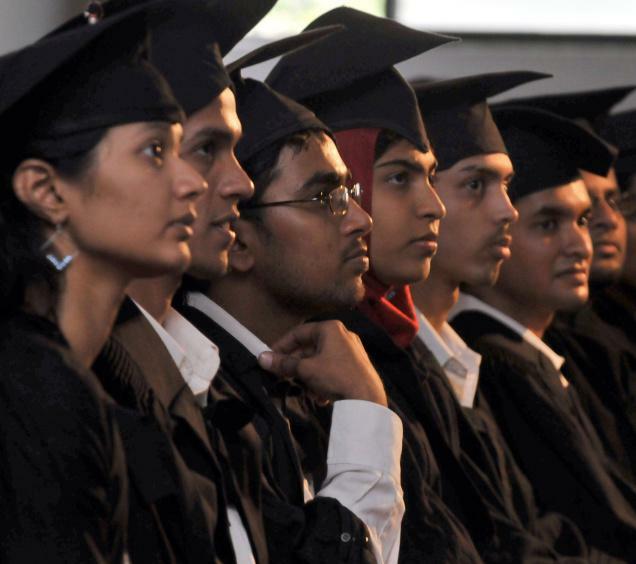 Powers of a civil court have to be conferred on the authorities under the Act. Specific provisions have to be introduced for vesting of confiscated property with the Central Government. An appropriate appellate structure has to be defined, while barring jurisdiction of a civil court against an action taken by the authorities under the Act. Matters of procedure relating to its administration, notice of hearing to parties concerned, service of notice and orders, powers of the competent authority relating to gathering of evidence etc are to be provided. The word ‘wife’ needs to be replaced with the word ‘spouse’ and property purchased in the name of certain other family members is to be allowed under the Act. Is the government serious about dealing with corruption? The Lokpal is designed to be a comprehensive anti-corruption institution independent of the government, empowered to effectively investigate corruption of all public servants. But most of the critical elements in this vision have been rejected. 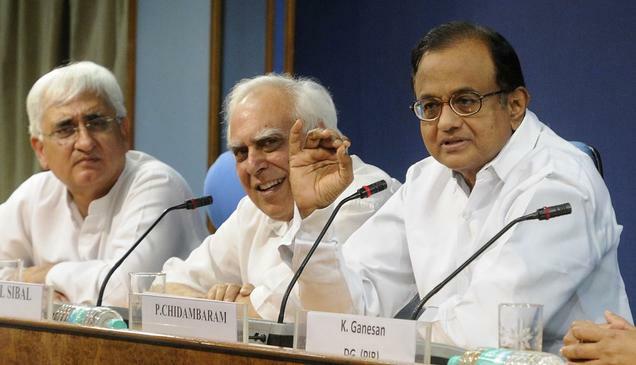 Union Ministers and the members of Lokpal Bill drafting committee P. Chidambaram, Kapil Sibal and Salman Khurshid address a press conference in New Delhi recently. The latest draft report of the Comptroller and Auditor General of India (CAG) on hydrocarbon production sharing contracts and the transfer of oilfields to Reliance is only the latest of the mega scams to surface in the country. The breadth and depth of corruption in India is clear from the country’s plunging ranking in Transparency International‘s global corruption survey. Corruption has come to affect every citizen in the country. Bribes have to be paid for ration cards, passports, building permits, and for doing even normal business. Street vendors and rickshaw pullers are forced to pay bribes for exercising their fundamental rights. Villagers are forced to pay bribes for getting their wages under the Mahatma Gandhi National Rural Employment Guarantee Act (NREGA) or for any other entitlements in other schemes. High-level corruption is plundering the public exchequer, distorting government policies, and creating a criminal mafia, which has come to dominate all institutions of power. Low-level corruption is making life impossible for common citizens. A major reason for this rampant, widespread corruption is the lack of an independent, empowered, and accountable anti-corruption institution that can be trusted to credibly investigate complaints of corruption and prosecute the guilty. The Central Bureau of Investigation (CBI) is controlled by the very people who are the fountainheads of this corruption and is required to seek the permission of the very people who need to be investigated and prosecuted. The Central Vigilance Commissioner of India (CVC) is selected by the Prime Minister, the Home Minister, and the Leader of Opposition, who have a vested interest in ensuring that weak bureaucrats get selected. Moreover, the CVC has only recommendatory powers and most of his or her recommendations are disregarded by the government, which wants to protect corrupt public servants. The courts take years to conclude trials and there is also considerable corruption in the judiciary because of the lack of accountability of the higher judiciary and the lack of an effective anti-corruption agency to investigate corruption within its ranks. This is why we have been demanding the constitution of an independent Lokpal institution — which will be completely independent of the government, empowered to effectively investigate corruption of all public servants of the Central government, including the Prime Minister, the judiciary, etc. (with Lokayuktas in the States to investigate public servants of the State governments and local bodies), and accountable in multiple ways to ensure that any corruption in the Lokpal institution would be immediately investigated and action taken. This is exactly what is required by the United Nations Convention against Corruption (UNCAC), which has just been ratified by India after much delay. In the Jan Lokpal Bill proposed by us, the 11-member Lokpal would be selected by a broad-based selection committee consisting of the Prime Minister, the Leader of Opposition, the Chief Election Commissioner of India (CEC), the CAG, two Judges of the Supreme Court, and two Chief Justices of the High Courts. The selection would be done transparently by first setting up a search committee consisting of retired CECs and CAGs who would first call for public nominations, then prepare a shortlist which would be put up on a website for public comments about the shortlisted candidates after which the selection committee would finally select the members. This 11-member Lokpal would have a full investigative agency under its control through which it would get complaints investigated. If corruption is found after investigation, the corrupt public servant would be prosecuted in special courts within the judicial system. The Bill provides that the number of special courts to try corruption cases would be increased to ensure that trials are completed within a year. Proceedings for removal of the corrupt public servant would also be initiated by the Vigilance Department under the Lokpal, which would give a full opportunity for hearing to the public servant. The Lokpal’s final recommendation for penalty against the public servant would be binding on the government. This would ensure that the bosses of the corrupt public servants who are often complicit in their corruption cannot protect them, as is happening today. The Lokpal would thus be a comprehensive anti-corruption institution independent of the government. The 11 members of the Lokpal would be accountable to the Supreme Court of India, which would examine complaints against them and order their removal. The investigative and vigilance machinery under the Lokpal would be accountable to independent complaints authorities created in each State, apart from to the Lokpal itself. Moreover, the Lokpal institution would be subject to a financial and performance audit by the CAG. Most importantly, the functioning of the Lokpal would be mandated to be transparent and the details of its investigations would be put up on its website. Also, the orders of the Lokpal would be subject to judicial review by the High Courts and the Supreme Court. In the last two meetings of the Joint Drafting Committee (JDC), the Ministers representing the government rejected most of the critical elements in this vision of the Lokpal. They see the Lokpal as an essentially 11-member institution where all decisions would have to be taken by these members themselves. Instead of a comprehensive anti-corruption machinery, they see it as an institution to look at a few cases of high-level corruption. Even there, they do not want the Prime Minister, the higher judiciary, and the Members of Parliament who take bribes for voting or speaking in Parliament to be covered. Also, they want the Lokpal to be merely a recommendatory body like the CVC in matters relating to the removal of corrupt public servants. They were neither willing to debate these issues publicly nor even willing to place the audio records of the meetings on a public website. They were also not prepared to debate these issues further between us. It has therefore been decided that the Ministers would prepare their own draft and we would prepare our draft of the Lokpal Bill, each of which would be placed before the Cabinet, which would decide which Bill would be placed before Parliament. We are repeatedly being told that laws have to be made by the elected representatives of the people and civil society has no role to play. This view shows an arrogance of power. Those running the government have forgotten that they are merely the representatives of the people and they must run the government and make laws as per their wishes. Therefore, while deciding which Lokpal Bill to pass, they must find out what the people want and, if they have any doubt about that, they can have a referendum on the disputed issues. The people of this country are fed up with the all-pervasive massive corruption in the country and are determined to have a strong and independent Lokpal. Any government or party that goes against the wishes of the people will do it at its own peril. This Primer attempts to explain the process by which a citizen group can participate and become actively involved in the process of lawmaking. A number of cases have been used to demonstrate how civil society groups have been able to engage in the process of law making. The campaign for the right to information was started by a group of workers in a village in Rajasthan when they were not paid by the government for work done during a famine. They formed a citizen group, Mazdoor Kisan Shakti Sangathan (MKSS). This group was supported by several social activists and the press, and led to the formation of the National Campaign for People’s Right to Information (NCPRI) in 1996. The NCPRI and Press Council of India formulated an initial draft of a right to information law in 1996. The government introduced the Freedom of Information Bill in 2002. In August 2004, the NCPRI suggested a set of amendments to the Freedom of Information Act, 2002. The National Advisory Council (NAC) endorsed many of these proposals, and the government introduced the Right to Information Bill in December 2004. The law was enacted in 2005. The RTI Act is an example of how citizens groups can significantly affect government policy. This Primer explains the process by which a citizen group can participate and become actively involved in the process of lawmaking. A number of cases have been used to demonstrate the various ways in which civil society groups have been able to engage with the legislative process. Step 1: The need for a new law, or an amendment to an existing piece of legislation, is identified. This may be done either by the government or by citizen groups who can raise public awareness regarding the need for the law. Sometimes individual Members of Parliament (MPs) can introduce Bills in Parliament, known as private member Bills, as ways to highlight the need for a law. While such Bills are almost never passed into law, they can provide a framework or a context within which the government can introduce its own legislation on the same issue. Step 2: The concerned ministry drafts a text of the proposed law, which is called a ‘Bill’. The Bill is circulated to other relevant ministries for inputs. Comments from the public on the proposed draft may also be invited. The draft is revised to incorporate such inputs and is then vetted by the Law Ministry. It is then presented to the Cabinet for approval. Step 3: After the Cabinet approves the Bill, it is introduced in Parliament. Under the Indian political system, Parliament is the central legislative (or law making) body. Every Bill goes through three Readings in both Houses before it becomes an Act. · During the First Reading the Bill is introduced. The introduction of a Bill may be opposed and the matter may be put to a vote in the House. In August 2009, the Law Minister withdrew the motion to introduce the Judges (Disclosure of Assets and Liabilities) Bill as many MPs were opposed to the Bill, on grounds that it violated the Constitution. After a Bill has been introduced, the Presiding Officer of the concerned House (Speaker in case of the Lok Sabha, Chairman in case of Rajya Sabha) may refer the Bill to the concerned Departmentally Related Standing Committee for examination. The Standing Committee considers the broad objectives and the specific clauses of the Bill referred to it and may invite public comments on a Bill. On rare occasions, Bills which come under the ambit of a number of different ministries, may be referred to a Joint Committee. The Committee then submits its recommendations in the form of a report to Parliament. In the Second Reading (Consideration), the Bill is scrutinized thoroughly. Each clause of the Bill is discussed and may be accepted, amended or rejected. During the Third Reading (Passing), the House votes on the redrafted Bill. If the Bill is passed in one House, it is then sent to the other House, where it goes through the second and third readings. During the second reading, the government, or any MP, may introduce amendments to the Bill, some of which may be based on recommendations of the Standing Committee. However, the government is not bound to accept the Committee’s recommendations. Step 5: After the President gives assent, the Bill is notified as an Act. Subsequently, the Bill is brought into force and rules and regulations to implement the Act are framed by the concerned ministry, and tabled in Parliament. In some cases, if the provisions in the Bill permit, the ministry may bring the Act into force over a period of time rather than all at once. For instance, various sections of the Food Safety and Standards Act, 2006 were brought into force in three different stages between August, 2006 and August, 2008. A number of sections of the Act have not yet been brought into force as of date. Is the above process always followed? This process is almost always followed. However some Bills may not be referred to a Standing Committee. Bills such as the SEZ Bill, 2005 and the National Investigation Agency Bill, 2008 were not sent to a Standing Committee. How is public participation possible during the process of lawmaking? Step 1: The role which can be played by citizen groups before and while the Bill is being drafted. The case of the Right to Information Act cited on Page 1 is an example of citizen groups coming forward to participate in legislative the process of lawmaking. Beginning with a movement started by a group of citizens, the law eventually became operational in October 2005. Even before a Bill has been drafted, the relevant ministry might choose to advertise and seek inputs from experts and citizens. This, though, is a rare occurrencen some cases, the concerned ministry drafts a new legislation and seeks public feedback before sending it for Cabinet approval. A New Police ActThe current Police Act dates back to 1861. The government felt the need to update this Act. The Ministry of Home Affairs had invited suggestions from individuals and citizen groups which may be incorporated into a new Bill. The Ministry of Women and Child Development had prepared a Bill intended to provide for the protection of women against sexual harassment in the workplace. The ministry had put up a draft of the Bill on its website and had invited comments. Step 3: Engaging with Standing Committees. After a Bill has been introduced, it is usually referred to the concerned Standing Committee which invites various stakeholders and experts for their suggestions. This provides another opportunity for civil society and the public to get involved in legislation. Fifteen witnesses deposed before the Standing Committee on Rural Development while it was preparing the report on the National Rural Employment Guarantee Bill. All Standing Committee meetings are closed door sessions which are not open to the general public or the media. Citizens groups can approach the relevant Committee to ask to be allowed to depose before it. The Bill sought to recognise the rights of forest dwellers to land occupied by them. The Bill was referred to a joint committee of Parliament, since it involved issues relevant to a number of ministries such as tribal affairs and environment. The committee received 109 written submissions from organisations and individuals. In addition, 44 witnesses deposed before it. The Food Safety and Standards Bill, 2005 seeks to consolidate several laws governing the food sector and establish a single reference point for all matters relating to food safety and standards. The Standing Committee heard the views of a number of stakeholders including citizen groups such as VOICE, New Delhi, and Gandhi Peace Foundation, Kottayam. The Maintenance and Welfare of Parents and Senior Citizens Bill, 2007 seeks to make it a legal obligation for children and heirs to provide maintenance to senior citizens. The Standing Committee had received written submissions and oral testimony from several groups as it discussed the Bill between May and July, 2007. Such groups included the All India Senior Citizens Confederation, the Senior Citizens Service Forum and Age Care India, etc. The Standing Committee submitted its report in August 2007. The Bill was finally passed and enacted into law in December, 2007. The government is not bound to accept the recommendations made by the Standing Committee. In the case of the Food Safety and Standards Act, 2006, the government did not accept any of the Committee’s recommendations. Even after the Standing Committee has finalised its recommendations, there is scope to reach out to Members of Parliament and political parties. There are a number of instances in which political parties – allies in the ruling coalition or the opposition parties – have been able to prevent a Bill from being passed in Parliament or by forcing the government to make amendments to the Bill before being passed. The Pension Fund Regulatory and Development Authority (PFRDA) Bill was introduced in Lok Sabha in March 2005. The Bill proposes a framework for the development and regulation of pension funds in India in order to promote old age income security. The Standing Committee presented its report in July 2005. The Committee was in agreement with most of the provisions of the Bill. However, the Bill was criticized by a number of trade unions and the Left Parties. Following the opposition to the Bill, the government deferred the discussion and vote on the Bill. Subsequently, the PFRDA Bill lapsed with the dissolution of the 14th Lok Sabha. Step 4: After the Bill is passed by both the Houses and goes to the President. In some rare cases, the President may ask Parliament to reconsider a Bill. Article 102 of the Constitution prohibits MPs from holding any office of profit, except that of a Minister or any office specifically exempted. The Parliament (Prevention of Disqualification) Act, 1959 lists offices which are exempted. In 2006, several petitions were filed with the Election Commission that a number of MPs were holding offices of profit. The government introduced a Bill in May 2006 exempting a number of posts (including those held by some sitting MPs) from the definition of office of profit. The Bill was passed by both Houses and sent to the President for his assent. The President returned the Bill, seeking clarification on a number of issues, and asked Parliament to reconsider it. Parliament passed the Bill again without any changes, following which the President gave his assent. However, a Joint Parliamentary Committee was set up to go into the issues relating to the holding of offices of profit by MPs. Step 5: After the President of India has assented to a Bill and it is notified as an Act. After an Act is passed by Parliament, it can still be challenged in the courts on grounds that it violates the provisions of the Constitution of India. In 2007, Parliament passed the AIIMS (Amendment) Act, 2007, which provided for the retirement of the director of AIIMS at the age of 65. The Act was challenged in the Supreme Court by the then director of AIIMS, P. Venugopal on grounds that the Act was discriminatory and was introduced specifically to superannuate him. The Supreme Court upheld this petition and struck down the Act. It also ordered the reinstatement of Dr. Venugopal as director of the institution. Step 6: When the rules and regulations to the Act are being drafted. The Food Safety and Standards Act, 2006The Food Safety and Standards Authority of India has been set up under the Food Safety and Standards Act, 2006 to regulate safety and hygiene standards for different foods. The regulator recently called for public comments on guidelines drafted by it. The guidelines were put up by the regulator on its website. During the process of drafting and the Bill being considered in Parliament, a variety of stakeholders may be involved. The final Act is usually a compromise between competing interests. Despite this, there is every reason for concerned citizens and groups to make every effort possible to engage with the process and ensure that they are able to make their voices heard. The Lokpal must be an independent body accessible to every citizen on any matter of corruption affecting the purity of public life. IT is well known that corruption is widely prevalent in India. Time and again, acts of corruption have been brought into the public domain. They violate human rights, undermine the rule of law, distort the development process and disempower the Indian state. While there are laws against corruption in India, there exists a wide gap between the law in the books and the law in practice. Therefore, a comprehensive law providing for forfeiture of illegally acquired property, in India and abroad, of public servants is the need of the hour. The Jan Lokpal should have independence in its functioning. It must have the power to inquire into, decide and forfeit illegally acquired property of public servants, their relatives, associates, name lenders, and so on. For discharging the onerous duties of the Lokpal under the said enactment, that office must be given wide powers, including the power to call even from Swiss banks details of funds deposited by public servants. Power should be conferred on it to attach and confiscate movable and immovable property even before a final decision is taken. There must also be a provision stating that all transfers of illegally acquired property shall be void if such transfer is effected after the issue of notice of forfeiture. The accused public servant should be burdened with the duty to prove that all the assets he possessed are legally acquired wealth. 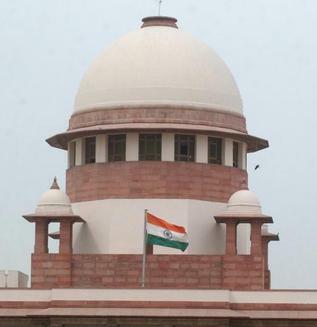 The Lokpal should be headed by a former judge of the Supreme Court with impeccable integrity. There has to be a provision for appeal to the Supreme Court. The Lokpal will be an independent body accessible to every citizen on any matter of corruption affecting the purity of public life and will act only according to its chaste conscience. The members of the Lokpal body can act without fear or favour or affection or ill will of anyone in India, be he ever so high. Its jurisdiction will extend to investigate the proceedings of the Prime Minister, the President or other public authority or public body functioning in a manner affecting public interest, public life or work. The Lokpal cannot be changed by the government and can be replaced only by resignation or a unanimous decision of Parliament, Prime Minister and President. Such a body will be supreme in its operations and its guidance will extend over the executive, legislative and judicative wings of government. The Lokpal and other members of the body will be selected by an independent authority in India and they can be prosecuted or subject to any court’s jurisdiction only on a specific motion for that purpose in Parliament or the State Assemblies and approved by a two-thirds majority of each House. On the other hand, the Lokpal, acting on the basis of a majority, can quash any decision or order of any authority that is found delinquent after a full and fair inquiry. India has seen many avatars of corruption – the Bofors scandal, the fodder scam, the 2G spectrum allocation scam, the swindle in the Commonwealth Games preparations, and so on. The people of the country strongly believe that toothless pieces of legislation made by legislatures are the reason why corrupt people go scot free. The people also seem to have lost belief in the judicial system, which has been able to bring to justice only a few of the corruption-accused and that too after a minimum of 10 years. The people have realised that their elected representatives do not do any legislative work and have started pointing to acts of corruption through the strong media. The people’s struggle for independence from the British has now turned into a democratic war against corruption. How can one expect a Prime Minister who does not exercise his franchise to wipe the tears of the aam aadmi who is suffering on account of rampant corruption? Development is now seen to be synonymous with corruption. To make the legislature do its duty, the people, who believe in a system of good governance, have turned to weapons of non-violence, such as satyagraha. For development to happen, India first needs independence from corruption. Power is tempered with accountability; sans investigation, power is tower. This principle has been accepted in the Bill now introduced. But the supreme functions vested in this new instrument must be free from state control. Or else it becomes another tool of torture in the hands of the executive – a remedy aggravating the malady. Prashant Bhushan has made a sound critique of the Bill. The larger the power, the more responsible is the accountability, lest the instrument destroy democracy. Today, if the judiciary delivers an authoritarian judgment, there is none to correct it nor is it accountable to any agency or authority. This makes judges a body of dictators. The appointment of judges and the critique and correction of their fiats are vital. What is provided on this behalf is insignificant. Besides, access to correct the blunders of this arbitrary body, to make its selection democratic and transparent and its performance subject to a democratic organ has not been given due consideration. Under the guise of control over judicial and other instruments, we cannot create a royalty above all. That is, the choice is between fascism and a self-created authoritarian Grand Jury. The verdict of the jury for misbehaviour of the judiciary and executive authority will make the whole system self-contained and democratic without totalitarian bias. Judges are not jungle creatures but maintain standards of conduct. During the days when J.S. Verma was the Chief Justice of India, an informal code of conduct was evolved, which commanded the concurrence of the judges of the High Court and the Supreme Court. This code of conduct, to have a binding force, must be incorporated in the Constitution itself and made enforceable. Thus, the standards of conduct of judges abhor corruption, misuse of power or other oblique behaviour. They can be enforced by the Grand Jury. The delinquent conduct not only of the judiciary but of all public authorities must be dealt with by the Grand Jury. This steering body with final authority must be selected by a commission for appointment and performance. No longer confined to the judiciary but including every instrument that enjoys public power, the Grand Jury will sit for a period of 10 years and can be removed for misconduct only by the paramount power of the two Houses of Parliament. These are matters that have to be refined by the draftsman and presented to Parliament. These are rough ideas and have to be debated by Parliament and approved with a two-thirds majority. The whole process is cumbersome, but when complicated problems face a nation, the process has to be complicated. Fiat Justitia Ruat Caelum (Let justice be done though the heavens fall). Two fundamentals that make the Grand Jury itself accountable may be indicated briefly. Public power becomes a terror unless it is accountable to the nation and makes itself accessible to the littlest Indian who has a grievance of corruption or improper behaviour justifying an inquiry into the conduct of the judges implicated. In principle, access to every citizen and accountability to ‘We, the People of India’ is accepted in the Lokpal Bill. I have suggested the creation of a basic authority with supreme powers. If both Houses of Parliament, each with two-thirds majority, have the power to appoint and to dismiss, surely it will be a grand wonder of paramount power. The Grand Jury I envision will be a powerful body, itself accountable to the people through Parliament, and its processes will be transparent and progressive. Glasnost and Perestroika are principles that apply to all instruments where state power is vested. After all, the greater the power, the more dangerous is the abuse. It is a fact that the former Chief Justice of India has been accused of corruption, and yet the Prime Minister has kept silent. While I have demanded power in Parliament even against the Grand Jury, that is because “in all forms of government people is the legislator”. The former Chief Justice of India with grave aspersions against him is silent and the Prime Minister and Parliament are keeping guilty silence. But an event of corruption has happened, upon which it is difficult to speak and impossible to be silent. Dear Prime Minister, still I hold you as a statesman and straightforward repository of power. Parliamentarians, remember your duty to the nation. Speak up against corruption. Silence is grave guilt where it is your duty to speak on the side of the nation.